Nylon carpet should not be compared to polyester or any other fiber. Compare carpets that are similar. 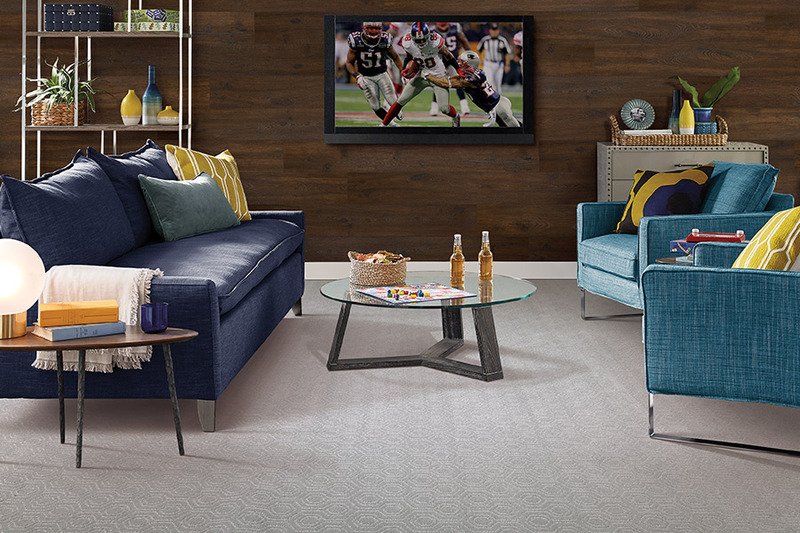 Narrow the selection to a carpet that fits your need, lifestyle, and budget. All fibers can be made to feel and look differently by modifying the manufacturing process. Some fibers are made to feel and look thicker by bulking them. Some strands of fiber feel and look softer when the fibers are thinned. Nylon is a generic designation for a synthetic polymer family. It is the most resilient and durable carpet fiber. Resilience is defined as being able to return to an original position or form after being stretched, compressed, or bent. Nyon's resistance keeps carpet looking new longer than other carpet fibers. It is an expensive carpet fiber. Only wool is more expensive. Nylon carpet is worth the money when longevity and heavy foot traffic are concerns. Other benefits of nylon carpet are its stain resistance, ease of cleaning, and ability to be color dyed. Polyester offers color clarity and exceptional softness. It is naturally fade and stain resistant. Polyester carpet is not as durable and strong as nylon, but still performs well. 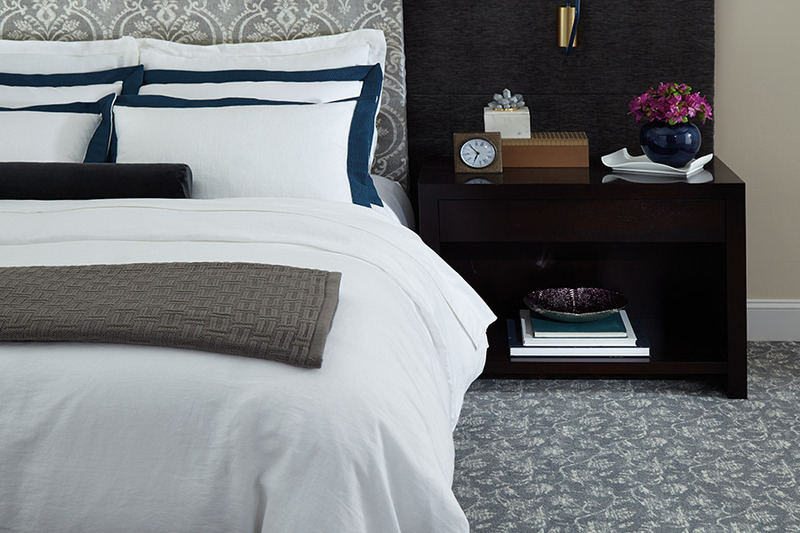 Polyester carpet is an excellent choice for settings with low to medium traffic, like bedrooms. Wool is a naturally resilient fiber, but is not as resilient as nylon. Wool carpet can last for decades when properly maintained. Maintenance does require a bit more work to care for than synthetic fibers. Because it carries a slight risk of shrinkage, wool carpet needs to be cleaned professionally. Wool carpet is soil and flame resistant. The highly absorbent fiber in wool carpet acts as a natural humidifier. It absorbs excess moisture in the air and releases it when the air is dry. Olefin does not absorb moisture. It is solution dyed, which means that the color is built into the fiber when it is formed. Color in olefin carpet does not fade when exposed to atmospheric contaminants, bleaches, and sunlight. In our Watkins Floor Covering showrooms in Jacksonville and Hampstead, NC, you will find our carpet inventory on display. 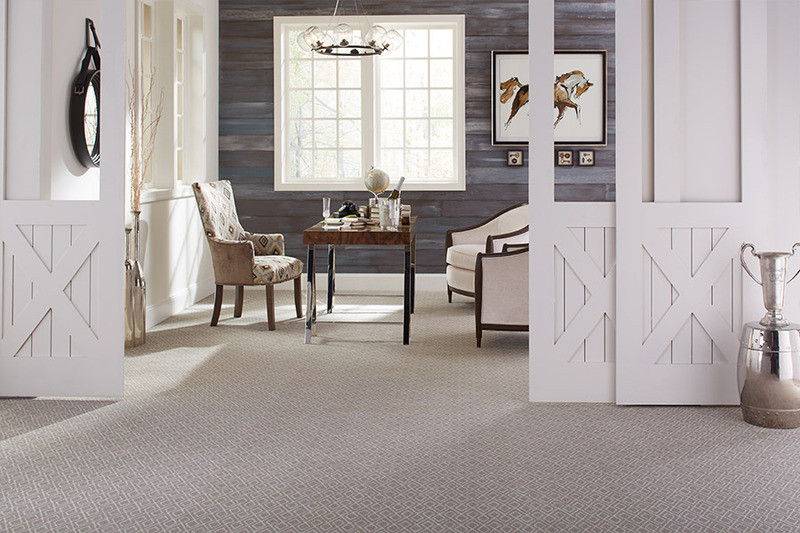 Customers from Swansboro, Sneads Ferry, Richlands, Maysville, and Jacksonville often schedule an appointment with one of our sales team to help them choose the right carpet. Choosing new flooring for your home? Carpet is an excellent choice, adding warmth, comfort and style. 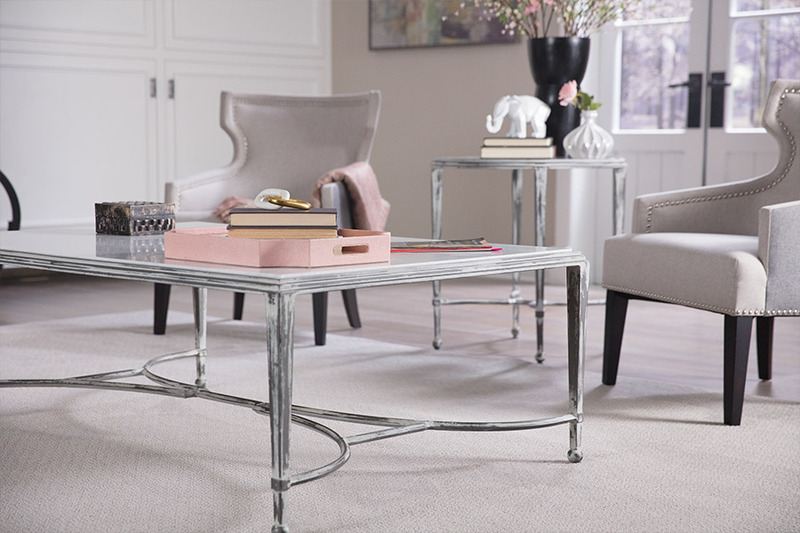 And with Watkins Floor Covering’s diverse selection of home carpeting, it’s never been easier to find the perfect carpet flooring for your lifestyle and price range. 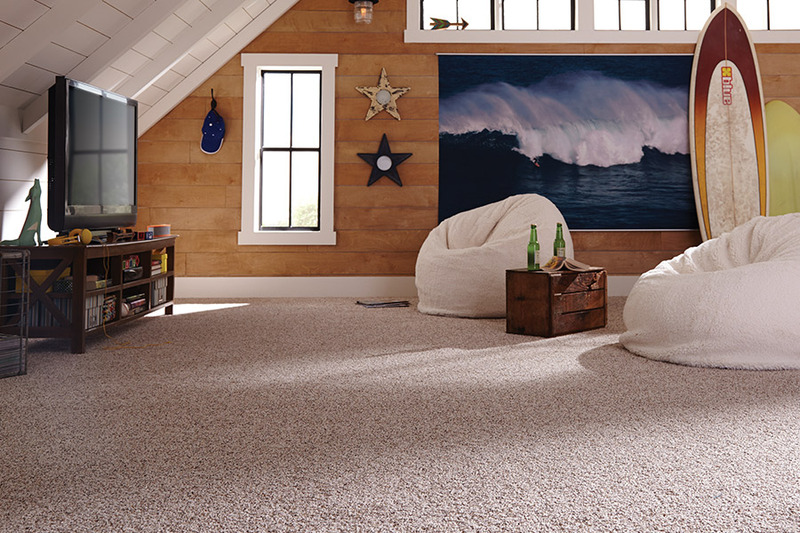 Let our Jacksonville, NC residential carpeting specialists help you choose from our top carpet brands. Schedule your personal consultation today! At Watkins Floor Covering, we don’t just sell carpets — we also install carpeting and offer carpet cleaning services! With our expert carpet installations and regular maintenance, your carpet flooring will offer lasting beauty and performance. Whether you’re building a new office, remodeling an existing facility or just replacing old carpets, choosing the right commercial carpeting can be a difficult decision. The highly trained staff at Watkins Floor Covering is here to help! Visit our Jacksonville, NC commercial flooring showroom or schedule a personal consultation to receive expert guidance on carpet colors, style, price range and more. From small offices to large commercial facilities, Watkins Floor Covering can help you find a carpeting solution that fits your needs. We offer commercial carpeting for offices, retail, health care facilities, schools, multi-family housing, government buildings, hotels and more. Jacksonville-area companies rely on us for a wide selection, knowledgeable service and some of the best warranties in the industry. Whether you choose broadloom carpet or carpet tiles, our professional installation team has the training and experience to get the job done right. Count on Watkins Floors Covering for exceptional customer service throughout the carpet installation process. To choose the perfect carpeting solution for your business, schedule your personal consultation today! Our Jacksonville, NC, commercial carpet specialists look forward to serving you.